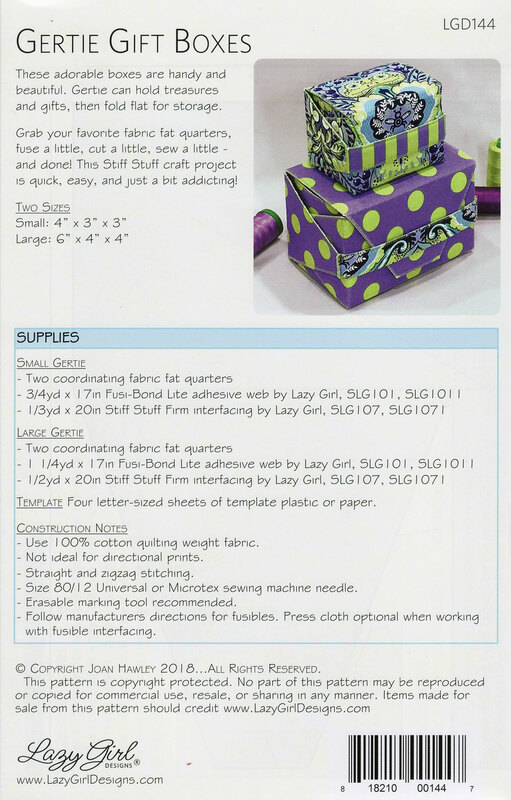 Gertie Gift Boxes sewing pattern Lazy Girl Designs. These adorable Gertie Gift Boxes from Lazy Girl Designs are very handy and beautiful. 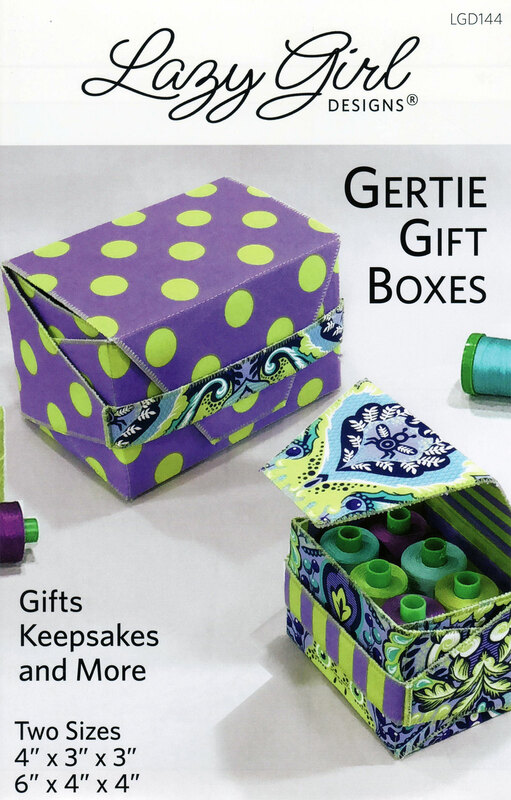 Gertie can hold treasures and gifts, then fold flat for storage. 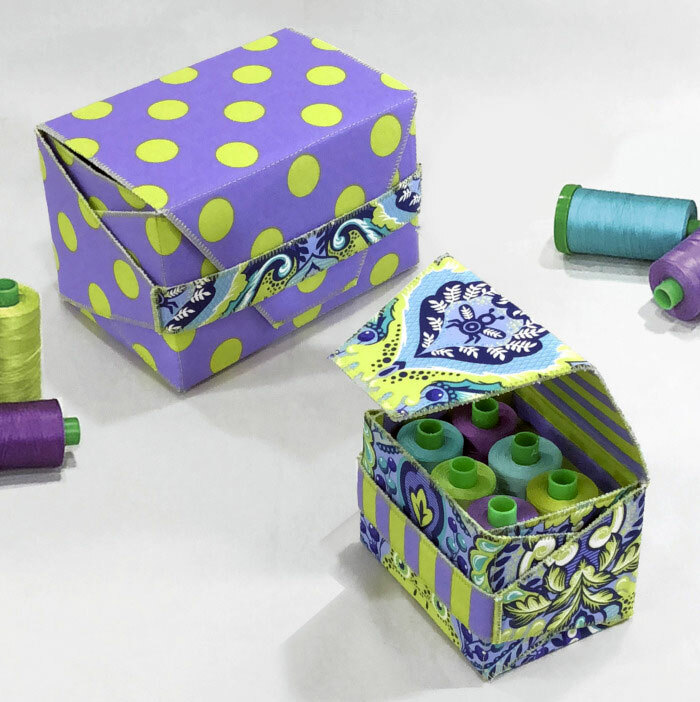 Grab your favorite fabric fat quarters, fuse a little, cut a little, sew a little - and done! 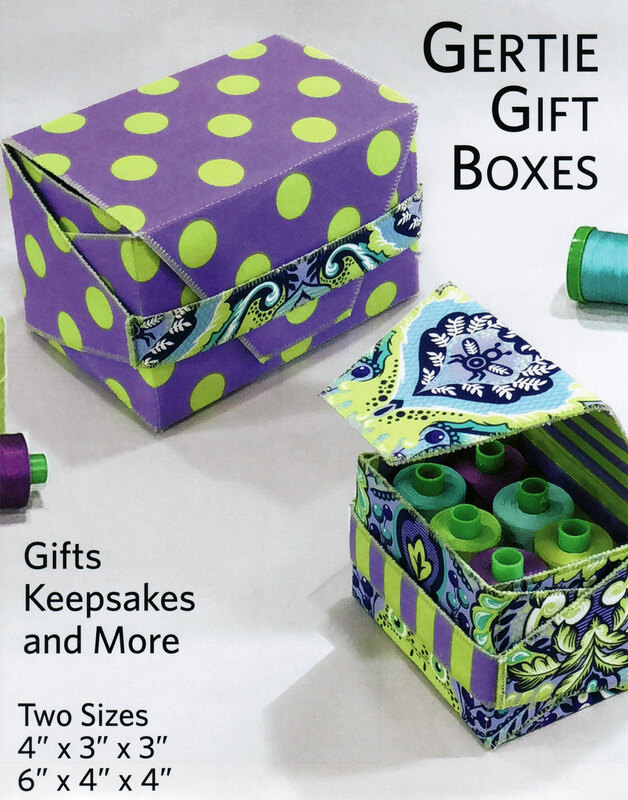 The Gertie Gift Boxes pattern is a Stiff Stuff project and is quick, easy, and just a bit addicting! 1 package of Stiff Stuff SLG1071 and 1 package of Fusi-Bond Lite SLG1011 will make one large or two small Gerties!